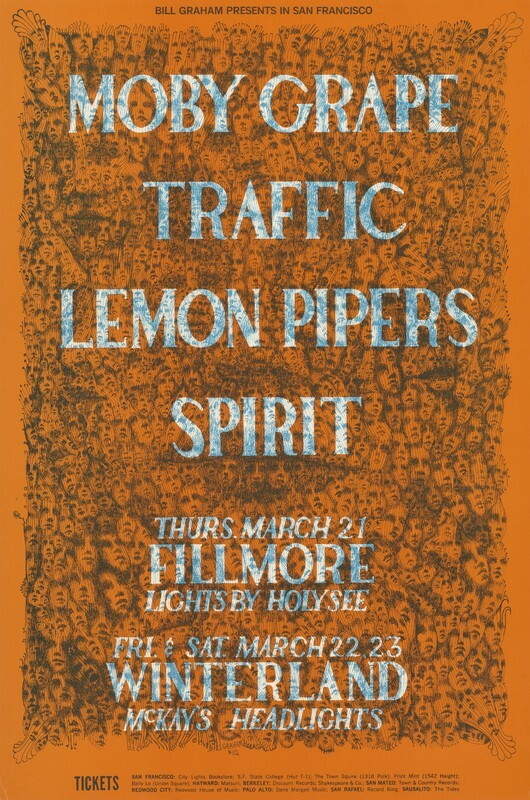 Conklin, Lee, “Moby Grape, Traffic, Lemon Pipers, Spirit -Bill Graham Presents in San Francisco - March 21 , Fillmore, Lights by Holy See -March 22-23 , Winterland, Lights by Glenn McKay's Headlights,” Grateful Dead Archive Online, accessed April 21, 2019, https://www.gdao.org/items/show/393186. 2nd printing. Bill Graham #112.